Gary also known as Trey is the Owner of Uphold 31:8, LLC and facilitator of all classes. He has over several years experience in Mental Health including inpatient hospitals, crisis therapy and school treatment. Trey holds a Bachelor’s Degree in Psychology from Virginia Commonwealth University and Master’s Degree in Social Work from George Mason University. He has facilitated groups and workshops on Mental Health, Anxiety/Stress, Suicide and more in a variety of settings. He has sat on panels in front of hundreds, speaking about the importance of Mental Health. His passion for Mental Health guides what Uphold is all about! 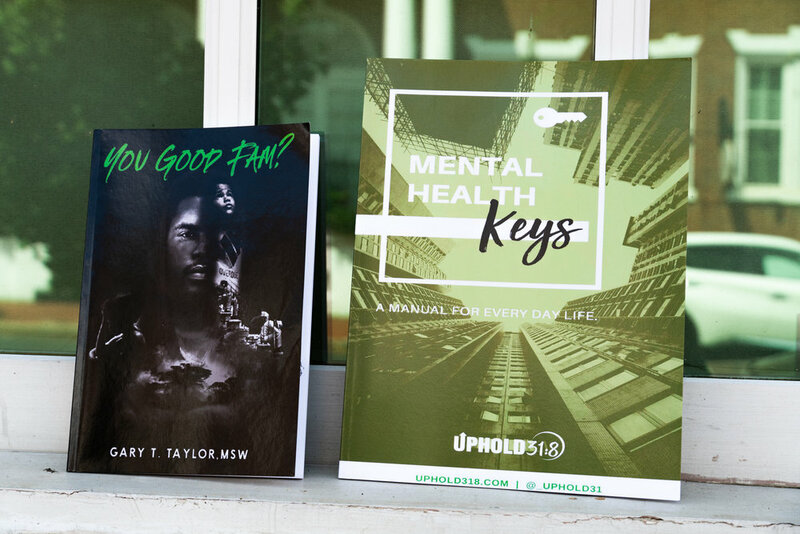 Trey has also written his first book about Mental Health in the Black Community called “You Good Fam?”: An Analysis of Mental Health the Black Community, which led to coining the phrase #YouGoodFam?. Alongside he has created the “Mental Health Keys” Manual, a guide for people to help manage their Mental Health on a daily basis. He has designed shirts and dedicated to eliminating the stigma behind Mental Health, along with releasing Uphold Care Packages providing tools to help people manage their Mental Health. Trey is not all Mental Health. He has many other things that make him. He is a Christian, who loves his family and friends. Him and his wife share over three years of marriage and have a beautiful daughter. Their daughter runs the home and so when he is not working he is chasing after her. When there is additional time you can catch catch him working on his car, playing and coaching basketball or trying to collect every Nike or Jordan sneaker known .